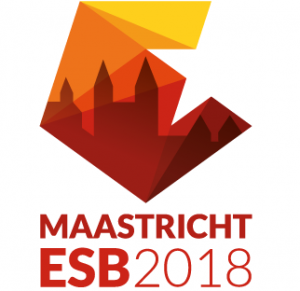 You can hear about HyMedPoly results and meet the project’s lead researchers at a special symposium “Drug-Free Antibacterial Hybrid Biopolymers for Medical Applications” at 29th European Society of Biomaterials, ESB 2018. On Tuesday 11 September at 17.00h, the Project Coordinator Professor Xiang Zhang will present an overview of the project goals and ambitions followed by a summary of the scientific achievements by the Scientific Coordinator, Professor Ipsita Roy. Four keynote talks will then cover distinct aspects of the project. There will also be an opportunity to view posters on the project and to meet the researchers. ESB2018 is 9 – 13 September in Maastricht. We look forward to seeing you there!